The beaches in Sicily are among the best in the Mediterranean with long stretches of fine golden sand, idyllic pebbly coves and striking volcanic shores discovered across the island of Sicily; even in the height of summer it's easy to find sandy beaches in Sicily that are virtually deserted, especially if you know where to look... Let us guide you to discovering the most beautiful beaches in Sicily. 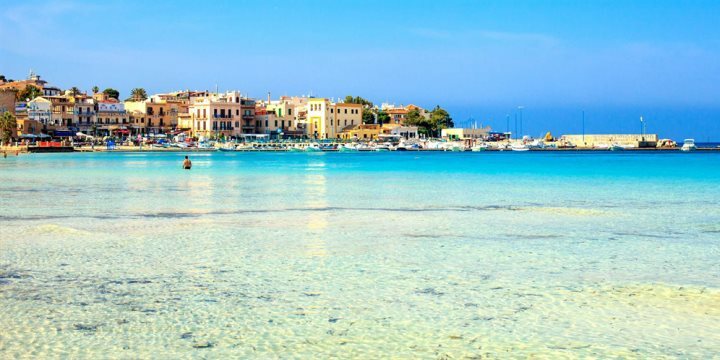 For those wondering where are the best beaches in Sicily, even in the tourist resorts you’ll find a good range of facilities and water sports available, beside crystal clear water which takes on subtly changing shades of cobalt, turquoise and emerald. The island is a favourite destination, for diving, as well as snorkelling, such is the clarity of the water. 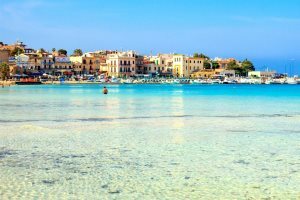 What’s more, with its long hot summers, Sicily has a longer summer season than most other European resorts - making it a fantastic choice for a coast or beach based holiday, making the best sandy beaches in Sicily extra tempting. 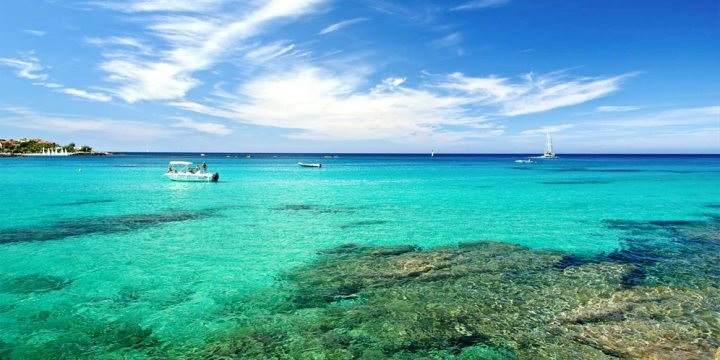 With pale, soft sand and crystal clear shallow water, this beautiful crescent bay is the most famous Sicily beaches on the island. 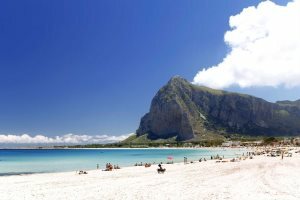 Lying between two cliffs, Monte Gallo and Monte Pellegrino, it is 12km from Palermo’s city centre and can be reached by a 15-minute bus ride. It’s a great family beach with a bustling, lively atmosphere and is popular with windsurfers and for snorkelling. Sunloungers, parasols and pedal boats are available for hire. Check out some of our fantastic properties in and around Palermo. 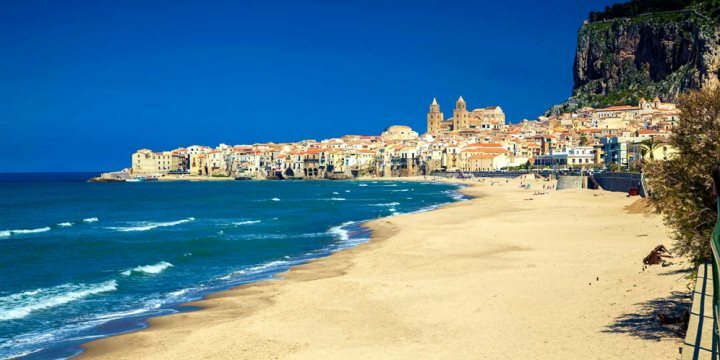 Lungomare di Cefalù is a beautiful 8km stretch of golden sands by calm, shallow waters. It’s ideal for families who are travelling Sicily, with sunloungers and parasols for hire. Read more about the beauty of Cefalu here. Sant’Ambrogio is a large beach, 5km from Cefalù. This mainly pebbly beach is one of the quietest in the region and certainly one of the best beaches in Sicily for rest and relaxation. We have some great properties to choose from in Northern Sicily - take a look. 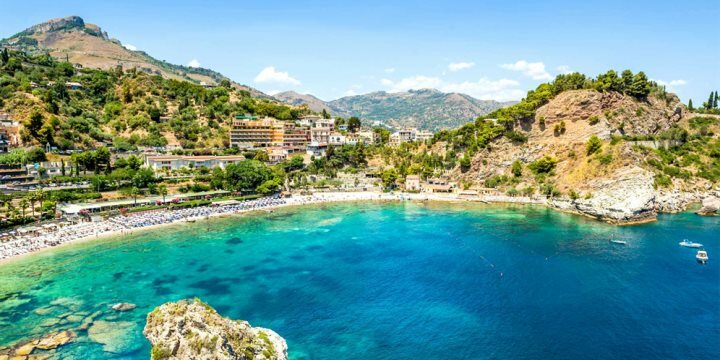 The most famous of Taormina’s beaches and one of the prettiest of coves, Isola Bella Beach is connected to the little island of the same name by a thin strip of sand. Offering panoramic views and crystal clear water, this very popular, pebbly beach is connected to the town by cable car (or some 300 steps) and has sunloungers and parasols for hire. 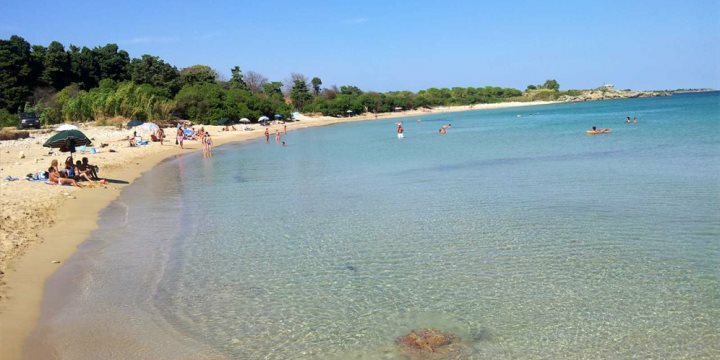 Beach holidays in Sicily aren't complete without a visit to Isola Bella Beach. Taormina is one of the most alluring destinations in Sicily - take a look at our great range of accommodation in and around the town. 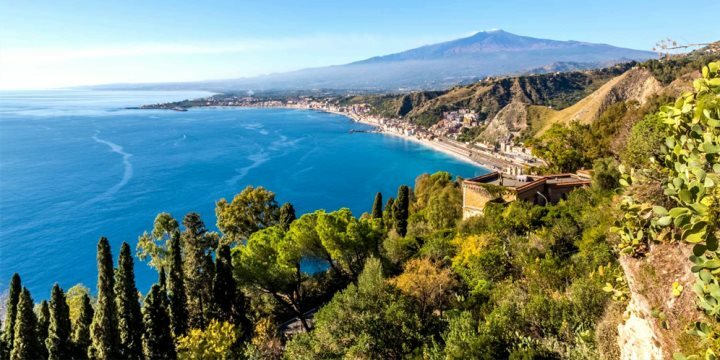 This beautiful and popular bay of white sand with some pebbly sections is the largest stretch of beach in the area and has lovely views of Taormina. There’s a good range of facilities with sunloungers, parasols for hire, water sports, beach bars and restaurants. 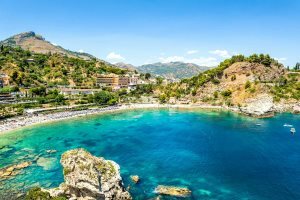 The likes of Letojanni Beach and Flamingo Beach continue the theme of long sandy strecthes and decent beach facilities, perfect for those looking to spend the whole day on one of Taormina's best beaches. Aci Trezza is a little seaside town with a couple of small streets, and rocky islands/outcrops - you can hire a canoe or a pedalo to explore. In the summer months there are a few bars along the waterfront, and you can get breakfast, and also watch the sunset over the water in the evening. Find out about all the fantastic things to do and see during a holiday in Taormina. 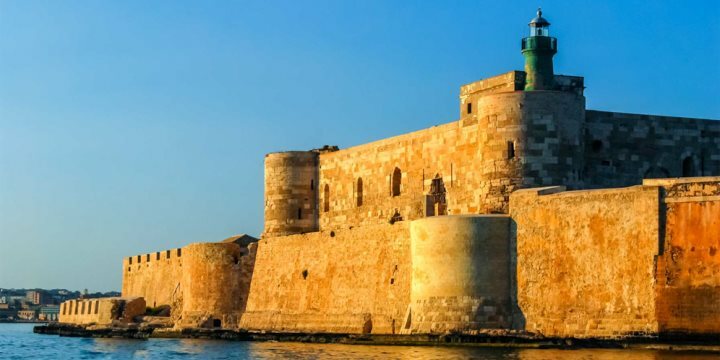 This historic city is the best known town in the region of the Val di Noto, home to incredible landmarks and architecture, effortlessly transporting visitors back in time. 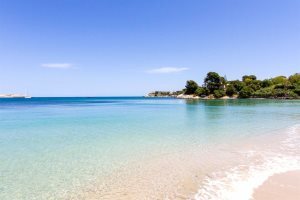 The beaches in the area are fantastic too, ensuring you can combine a cultural trip with a beach break without straying too far from your base in Syracuse. Take a look at our fantastic range of properties located in Syracuse and the Val di Noto region. 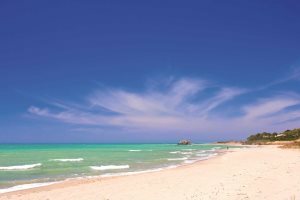 One of the best sandy beaches in the region, and arguably one of the best beaches in Sicily, Fontane Bianche is 3km stretch of coast, 15km from the centre of Syracuse. With fine white sand, a gently sloping seabed and warm, transparent sea, it is very popular with families. Sunloungers and parasols are available for hire. 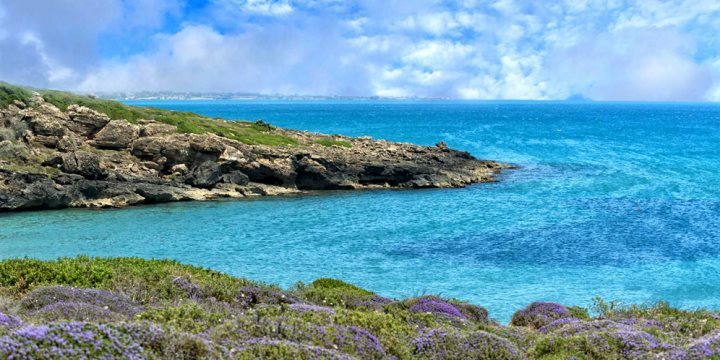 In the heart of Vendicari Nature Reserve just 10 minutes' drive from Noto, lies an 8km stretch of golden sand dunes, lagoons, cliffs and hidden bays; the perfect discovery when travelling Sicily. There are no sunloungers, bars or water sports and no crowds. A truly wonderful place to swim and well-suited to families but be sure to take anything you might need including water with you. There are three entrances to the park from the main Noto-Pachino road and while the parking is some way from the beach the walk through the reserve is memorable. There is also the occasional flamingo! 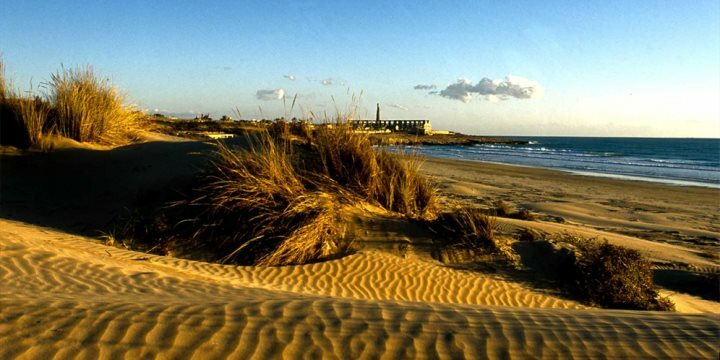 At the south east tip of Sicily you’ll find the never ending dunes where the Allied forces landed in World War II and from here, heading west, there is a long stretch of virtually non-stop sandy beaches right up until you reach the industrial town of Gela. Spiagga Sampieri is of particular note, a 3km stretch of fine golden sand with a gently shelving seabed and clear turquoise water. At one end of the beach, you will find the atmospheric ruins of an old brickworks. Discover the stunning architecture of the Val di Noto during a day off from lazing on the sand. 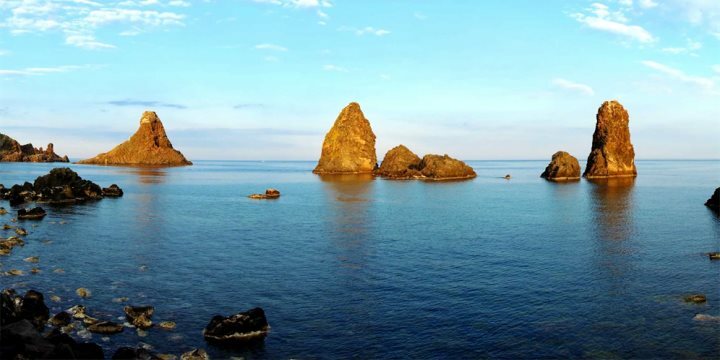 The southern region of Sicily island is not so well known for its coastline but it should be. 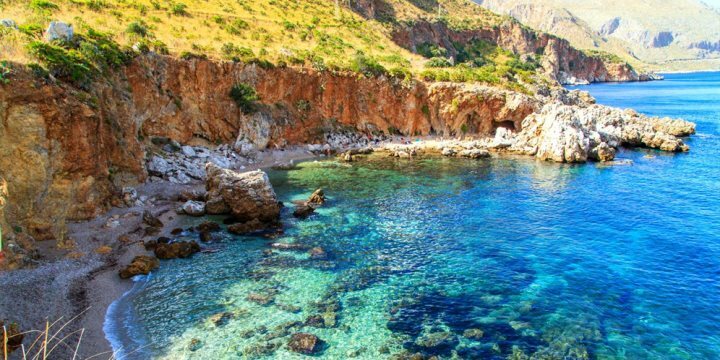 From Licata all along the coast up past Sciacca you’ll find dazzling bays, stunning cliffs and some lovely locations that are among the best Sicily beaches. 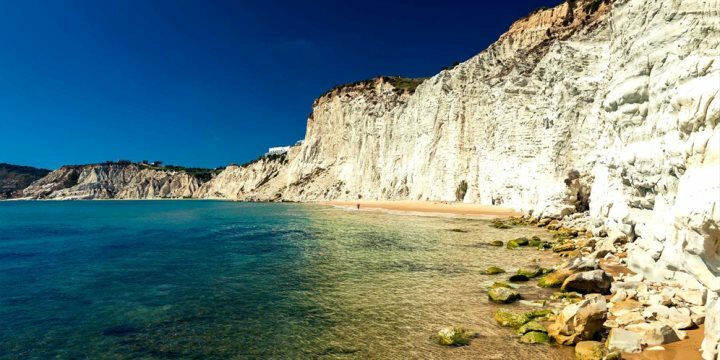 Around the area of Agrigento are other fantastic beaches, such as San Leone, Fiumenaro and the famous Scala dei Turchi. 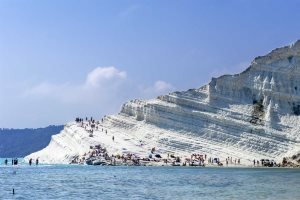 Moving further west, just a 15-minute drive from Agrigento the stunning white marlstone cliffs form a natural staircase, known as the Scala dei Turchi (Turkish Steps) to a beach of fine sand interspersed with rocky areas where the water is of course, crystal clear. Discover two of our most luxurious and rewarding hotels on the island in Southern Sicily. 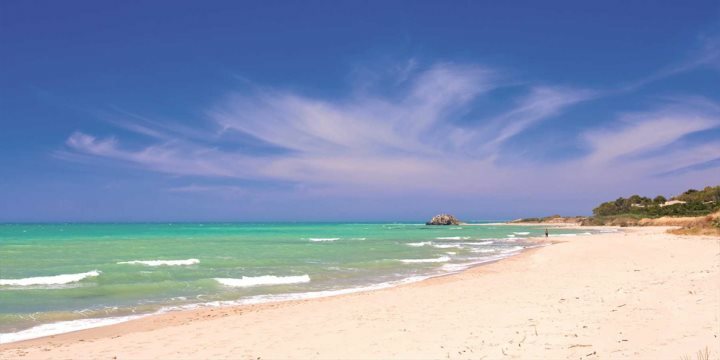 This 1km long, curving bay of white, pristine sand with crystal clear water, is about an hour west of Palermo. 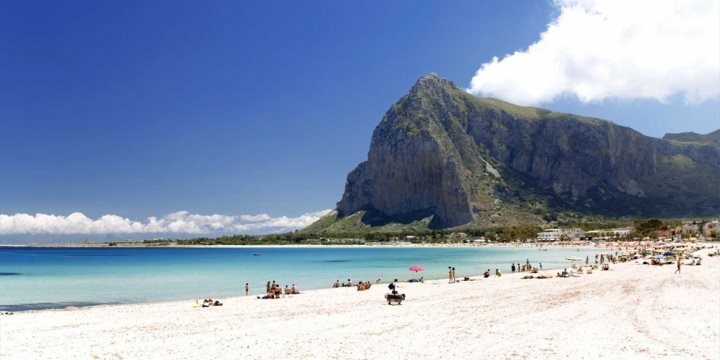 San Vito Lo Capo, in Western Sicily, is ideal for families, with plenty of small, beachside restaurants, sunloungers and parasols for hire and stunning panoramic views. Zingaro Nature Reserve, east of San Vito Capo, you’ll find numerous lovely pebbly coves from where to swim, as well as some great coastal walks. This is where Sicily's coast and beach beauty reaches its pinnacle. Check out our two beautiful and stylish villas located in Western Sicily.